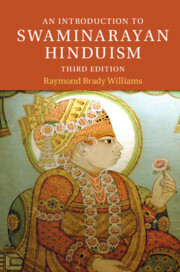 Ideal for courses in beginning Sanskrit or self-study, this textbook employs modern, tried-and-tested pedagogical methods and tools, but requires no prior knowledge of ancient languages or linguistics. Devanāgarī script is introduced over several chapters and used in parallel with transliteration for several chapters more, allowing students to progress in learning Sanskrit itself while still mastering the script. Students are exposed to annotated original texts in addition to practise sentences very early on, and structures and systems underlying the wealth of forms are clearly explained to facilitate memorisation. All grammar is covered in detail, with chapters dedicated to compounding and nominal derivation, and sections explaining relevant historical phenomena. 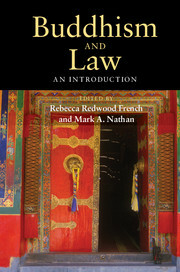 The introduction also includes a variety of online resources that students may use to reinforce and expand their knowledge: flash cards; video tutorials for all chapters; and up-to-date links to writing, declension and conjugation exercises and online dictionaries, grammars, and textual databases. Swami Narasimhananda, Reading Religion Learning Sanskrit is usually considered to be a harrowing experience what with the memorization of elaborate rules of grammar and the language’s various verb and noun forms in numerous tenses and cases (such as the vocative case). This has discouraged many students from completing the study of Sanskrit and most leave it halfway. Every textbook that tries to solve this problem ends up creating another one, so it seems! 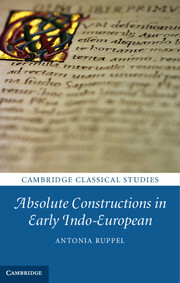 The Cambridge Introduction to Sanskrit comes as a welcome relief and is an excellent tool for learning Sanskrit. In The Cambridge Introduction to Sanskrit, A. M. Ruppel, a Sanskrit teacher of rich experience, assures the student that one can minimize “the need for rote memorization” (1). The many innovations in this book start with the first chapter being numbered “0” rather than “1.” This is a Sanskrit textbook and a user-friendly computer manual bundled into one. 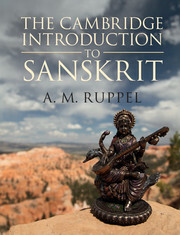 The introduction by Ruppel is clear and concise about expectations from teachers and students, and also outlines study techniques, that are immensely helpful in bringing the student to easily grasp the intricacies of Sanskrit grammar. Throughout the book, examples are taken from important Sanskrit literature, like the Ramayana and the Bhagavad Gita, and so the student becomes familiar with many texts in the course of learning. Every minor detail of the language that is particularly useful for Anglophone students is provided, so that the chances of the student making an error are minimized. For example, in the lessons on translation, Ruppel gives a good sense of the vastness of the meanings of a single word and the various nuances with which a word might be used. The root forms of all nouns and verbs are shown, which helps the student to understand the various forms that a root can take, sometimes overwhelmingly, in Sanskrit. The nature of different kinds of stems is elaborately explained, assisting the student in understanding newer usages of these stems in later studies. 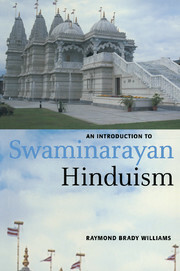 The Cambridge Introduction to Sanskrit comes with useful appendices including practice handouts for writing Sanskrit and also reference sections, including the background of the passages quoted in the book an index of grammatical terms an introduction to Sanskrit meter an introduction to Vedic Sanskrit lists of conjunct consonants, numerals, and compounds and a Sanskrit-English vocabulary. I am myself a teacher of Sanskrit and the quality of The Cambridge Introduction to Sanskrit can be seen in the fact that I have dumped all other textbooks in this one’s favor. The ease of learning and teaching using this textbook cannot be overemphasized.